December 18th is “WHO WANTS TO BE A….” Day! 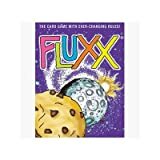 Have you ever played the card game FLUXX? It’s very simple to play, as there aren’t any rules until you begin the game. Just do whatever is listed on the cards, and you’ll figure out the rest. Every game is unique as the played cards interact in different ways. So why not take the same philosphy and apply it to a game show?On December 18th at the UN Climate Summit in Copenhagen, they’re going to do just that with A GAME SHOW CALLED “WHO WANTS TO BE”. As they state: it’s a show where the audience makes up the questions, the answers, and the rules. The philosophy behind the game is that crowds usually result in the correct answer. Statistically on the WHO WANTS TO BE A MILLIONAIRE game show, when contestants polled the audience as one of their lifelines, the audience was correct over 98% of the time. With that in mind, the folks behind WHO WANTS TO BE figure that if the audience is given free reign to control the entire experience, that the chances of hitting on the correct answer can be closer to 100%. In previous WHO WANTS TO BE events, the audience ponied up cash to participate, then the total proceeds became the prize money. The audience then had to decide what to do with the money and how to distribute it. Almost anything can happen, and it’s up to those participating to figure out what it will be. It could be paying for something frivolous, giving the money to a specific person or group, donating it to charity, or something else entirely. Sound like fun? Then sign onto the website and send them your $10 so you too can participate. Maybe something good will come out of it. The Monopoly World Championships Begin on October 20th! This WEB WATCH entry was posted in Games, TV and tagged game, game show, TV on December 17, 2009 by web gangsta.